Reality check for the rest of us: These top articles and posts were exceptional outliers and we cannot expect to replicate their success. However, we can learn from them to gain deeper insights into the kinds of content that engage Facebook audiences. In this post we discuss the implications for content creators with commentary from marketing and publishing experts. The two tables below show the most shared content on Facebook and the top viral Facebook posts this year. The links to the content items are in the discussion of the articles after the table. As we can see below Facebook audiences readily share entertaining, inspiring and heart-warming content published outside the platform. Music videos topped the charts this year with three of the top ten posts. We can also observe a strong tribal element when it comes to the sharing of political and opinion content. There were two political posts in the top ten. For a detailed analysis of the most engaging videos see our previous analysis of 100m Facebook videos. Note: The total Facebook interactions were as at 6th December 2017. The table does not include game download pages, police appeals, or petitions. The table only includes the top 3 posts of the same type e.g. music videos. For the content articles below we have shown the total engagements across Facebook, Twitter, LinkedIn and Pinterest for each article. For shorthand, we often refer to total shares though technically the Facebook figure is engagements as it also includes Likes and Comments, both of which can cause content to be shared. You can argue that a share is stronger engagement than a like, and a comment is stronger still, and we should weight them, but that’s a long argument, and it’s nearly Christmas. So let’s keep it simple. 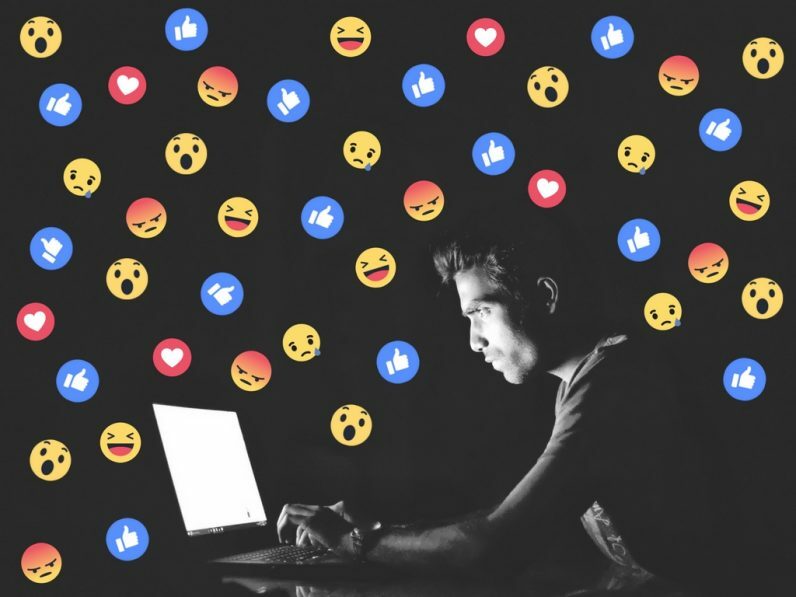 To find out more on the headlines that engage people on Facebook, see our review of 100m headlines and the top phrases that engage people on Facebook. To search for the most shared content on any website or for any topic go to BuzzSumo. The most shared content on Facebook this year was a YouTube music video ‘Despacito‘ by Puerto Rican singer Luis Fonsi featuring Puerto Rican rapper Daddy Yankee. This song reached the top of the charts in 47 countries and was the first song primarily in Spanish to top the Billboard Hot 100 since 1996. Never heard it? Yes, you have. The video has been viewed 4 trillion times, yep that is trillion. But why not add one more count to the pile and give it another whirl. Music videos remain one of the most shared forms of content. This video by Ed Sheeran was the second most shared content on Facebook gaining almost 10m shares. The third biggest music video was the Thai video ‘I’ve been crying’ by Prue Nakarin (ทุกคนเคยร้องไห้ – ป้าง นครินทร์) which gained over 4.5m interactions. Videos by Coldplay, Taylor Swift, and Enrique Iglesias also gained over 3m Facebook interactions. Disclaimer: BuzzSumo makes no endorsement of the quality or earworm-ness of these tunes. What do we know? Less than Tay Tay it seems. People are quick to share breaking news on Facebook. Over 44% of Americans get their news from Facebook (fake or otherwise). However, the sharing can be very fragmented as there are often tens if not hundreds of articles on the same news story. In this example, the initial exclusive reporting of the suicide of Chester Bennington by TMZ gained over 7m Facebook engagements. This particular story may have gained extra traction as it is about a musician, but also because it was a very tragic human story. Viral quizzes still appear to do well though we are seeing less engagement than in previous years. Possibly this format’s hitting a saturation point, though this quiz from Women.com gained over 5m shares. As we have reported in previous studies, viral quizzes may get shares on Facebook but no one links to them, possibly because they’re more just fun and not evergreen referenceable content. This quiz got backlinks from only seven domains according to Majestic and only 16 links from five domains according to Moz despite over 5m shares. If you want to build content that gains links there are better forms of content than quizzes. Encouraged by the success of this post in January, Women.com ran another version, “Can You Pass This Advanced Grammar Test?”, which gained 3.7m shares. Following the old publisher adage, ‘if it works, do it again’ the site published over 200 quizzes this year, 19 of which gained over 1m shares each. Another popular form of the quiz is the personality type. Thanks to Cosmopolitan and many other magazines for this format. The trick about this is to ensure the answer makes the user looks intelligent, unique, and all round amazing, so they share the results. What State Should You Move To Based On Your Personality? gained over 3m Facebook Interactions. See you in Idaho. One theme that runs through popular Facebook content is travel and adventure. They tend to be inspirational, visually beautiful, and divert us from reality (possibly the point of Facebook?). This next article promoting a train ride through America’s most beautiful sites clearly resonated with over 3.8m Facebook engagements. Feeling good is good for you, and good for Facebook engagements. This heartwarming story of Mexican bakers supporting the victims of flooding after Hurricane Harvey was widely shared on Facebook, gaining over 2.4m engagements. It was the top post from The Independent newspaper this year. There are other examples of heartwarming, feel-good stories that were shared on Facebook. For example, a video of Garth Brooks giving his guitar to a fan who had cancer had over 2.6m Facebook engagements. The top post on the New York Times this year was this post on Harvey and Irma, a couple married for 75 years who marveled at the storms bearing their names. This post gained over 1.1m Facebook engagements. Maybe they’ll adopt Stormzy and smash the record next year. Articles that report the findings of studies tend to do particularly well on Facebook, including ‘science says’ style articles. This article below reported on a research study from MIT, Northwestern, and University of Florida about the criminal propensity of siblings. This is the type of content that families may share for fun as much as for the value of the research. My eldest actually shared this post on Facebook and tagged his younger sister. It’s a nice example of research and tribal posts combined, and a great way to get at your siblings through social media. The post gained over 2m Facebook engagements. A similar post, “Study Shows The More You Hang Out With Your Mom, The Longer She’ll Live”, reported on research from the University of California, San Francisco showing that loneliness plays a large role in the decline so often associated with old age. This post also received over 2m Facebook interactions. Another example is “Scientists Say That Being Forgetful Is Actually A Sign You Are Unusually Intelligent“. This post got over 1.4m Facebook engagements (approximately – we forget the exact figure). The article below covered a more controversial research report on the impact and effectiveness of flu vaccines. This was a study report which may also have been shared by people to inform their friends. The post gained over 1.9m Facebook engagements. Trends come and go but cute animal videos are forever. They’re well known as one of the most popular forms of content on Facebook. Marking a change from cat videos, this video of a seal that likes its tummy tickled (don’t we all) gained over 1.9m Facebook engagements. Cats: You need to up your game in 2018. As we will see below, some of the most popular Facebook posts were also animal videos. The most shared article on Huffington Post this year was a political viewpoint “I don’t know how to explain to you that you should care about other people“. Tribal political posts have grown over the last year. Two of the most shared gained over 3m Facebook engagements each. The first was this article by American Bacon on ‘President Trump requiring ‘welfare to work’ – the free ride is ending’. The second was this article ‘20 Million Muslims March Against ISIS and The Mainstream Media Completely Ignores It‘. Both are strong opinion articles. The latter article takes a specific view or opinion of the events. Some might argue a more accurate title would be “Millions of Muslims take part in mass pilgrimage of Arbaeen – in spite of Isis”. The petition to impeach President Trump also gained over 2m shares. It appears people share content on Facebook to support their particular political tribe or viewpoint. Often political posts have far more shares than likes or reactions. There is some evidence that the more partisan the content, the more that particular tribe will share it. That has echo chamber side effects of course – the more you like content that fits your tribe, the less divergent viewpoints you’ll see. Hey, we didn’t make the algorithm, we’re just reporting on it. This next post describes the highs and lows of being a mom. It is a powerful post by Bethany Jacobs with a message to all moms. The post gained over 1.6m Facebook engagements. It’s an appeal to the most powerful tribe in the world. Health content is a perennial favorite on Facebook, including the secrets to a long life. This next post was a practical and informative post using lemons to demonstrate what breast cancer can look and feel like. This topical opinion post on The Atlantic gathered over 700,000 shares, but also over 2,600 links. Many of the statistics in the article have been widely challenged, but the question “have smartphones destroyed a generation?” clearly resonated with Facebook audiences. Opinion posts on in-vogue topical discussions appear to get shared widely. This next post from The New Yorker explored why facts don’t change our minds. Ironic given some of the fact-free content that’s gone viral this year. The post gained almost 500,000 Facebook engagements. We would emphasize again that these posts are the outliers; they are the very topmost engaging posts. Many of the pages publishing these posts have huge audiences. For example, First Media Blossom has had more than 31m people like their Facebook page. This potentially enables their posts to achieve very large reach. That said, not all First Media Blossom content achieves such high levels of engagement. And, some posts from sites with smaller audiences also perform well. The most engaging post relative to page audience size was MTV Australia’s video about the millennial generation which achieved over 100m views and 2m shares, with a page audience of 770,000 likes. This Facebook video of practical everyday hacks was the top Facebook post in 2017. It had over 400m views and was shared over 12m times. It also had over 3m likes and reactions and 186,000 comments. We have no stats on whether people actually decluttered anything after sharing this. But it feels good to know it’s possible. This post was by no means a one-off for First Media Blossom; they had three posts in the top five most engaging posts this year driven by their large audience. Two of their other practical hack posts, 5 Surprising hacks and 8 ways to transform your wardrobe, each gained over 5m shares and 240m views. This post by Bright Side on awesome ideas for old T-shirts also gained over 4m shares. Leverage a trend, be consistent, and build an audience. That’s how to organize. This Facebook video posted by People are Awesome (19m page likes) is a celebration of the amazing things that people can do. It gained over 500m views and over 10m shares, likes/reactions, and comments. This Facebook video posted by GaryTV is a compilation of animals and people being affectionate to one another. It had over 380m views, it was shared almost 10m times, received 3.6m likes and reactions, and attracted over 250,000 comments. In terms of engagement relative to Facebook page likes, this post did better than Blossom and Bright Side, as it gained more engagements than the 6.5m people that have liked the GaryTV page. Also in the top ten Facebook posts was this video of a cute Panda from iPanda which gained over 6m shares, likes/reactions, and comments. As we saw with the top content above music videos are very popular and get highly shared. This video posted by Tyra Banks was shared over 4m times and had over 5m likes and reactions. Also an example of people being awesome. Tyra’s Facebook page has had over 8m likes, and her post of a heartwarming video of a young girl singing was also in the top 20 posts with over 5m shares, likes, and comments. Maybe recipe videos are the ultimate FB post: They’re visual, a hack, appeal to a huge cooking tribe, and inspire us to act. Our previous analysis of 100m Facebook videos found that food videos received more engagements on average than any other topic. Thus it was not a surprise to a see a food video in the top ten posts this year. This video posted by So Yummy had over 270m views, almost 5m shares, 2m likes/reactions, and over 130,000 comments. This video from Blossom on surprising things you can make with only two ingredients was also in the top twenty posts with over 6m shares, likes, and reactions. The top non-video post was this set of food recipes. It was also the top Facebook post in Spanish this year with over 5m shares. This post also did well relative to the 3.9m people that have liked Anna’s Facebook page. The top French post on Facebook this year was also on food. This video on making l’omelette tartine gained over 4.3m shares, likes, and comments. People share content to show support for their tribe, whether it’s their sports team, their political allegiance, their co-workers, or just people like them e.g. bald men, firstborn children or people with ginger hair. It’s possible to be all three in which case there’s probably a special post just for you. The next three top Facebook posts were all tribal posts in some form. The top Facebook image post of the year was this one from FC Barcelona, which gained over 5.5m shares and likes/reactions. It was also another example of Spanish content in the top 20 Facebook posts of the year. This Facebook video posted by MTV Australia focused on the millennial generation. It was viewed over 100m times, shared more than 2m times, and attracted over 80,000 comments. In many ways this could be argued to be the top Facebook post relative to the size of its own page audience; 770,000 people have liked MTV Australia’s page, but this video gained over 2m shares and 100m views. This Facebook video posted by Attn:Video of Arnold Schwarzenegger’s message for Donald Trump about the Paris Climate Agreement was viewed over 77m times, shared over 2m times, and attracted 35,000 comments. There’s passion and rage in here which can inspire tribal engagement if you’re on his side. People love to share inspiring new technology and ideas. This video post of a boat removing plastic and flotsam from water was shared over 3.8m times and had over 1.4m likes and reactions. Finally, when I spoke to various people about this research they expected Buzzfeed’s or Donald Trump’s Facebook posts to be near the top. For the sake of completeness, the top Buzzfeed post was a video on the power to live and forgive which gained 3.5m engagements and was viewed 177m times. The top post by Donald Trump was his statement on immigration policy which had over 1m engagements, primarily reactions ranging from love to angry. Controversy and strong opinion continues to provoke engagement. At the start of this post we made clear that these top posts are outliers – they are exceptional and we cannot replicate their success. We should also note that when it comes to Facebook posts, it seems that the size of the audience of the Facebook page is important in helping to achieve reach, even though organic reach is relatively low. Thus, building your Facebook page audience is important. While traditionally content gains more likes and reactions than shares, this is not always the case. In the examples above there are many where the Facebook post has had far more shares than likes. Good examples are posts on food recipes, new technology, climate change, and the millennial generation. How can you convert your content and expertise into short, practical tutorial-style videos? Around 90 seconds or more is ideal for Facebook. Can you put the spotlight more on storytelling by real people in your business for video content? E.g. customer success stories, staff spotlight, heartwarming ways that your business impacts the community, etc. Use videos wherever possible and other visuals to break through. While headlines are key, people are visual beings. Figure out how to transform your information into videos and images that provide new views. We hope you can take away some inspiration from our roundup and plan for an even better 2018 on Facebook. We’d love to hear your reflections.